Hi, I am glad that you stopped by! If you were interested in what I had to say and would like to get future posts, click on the follow button and you will get notification by email when I post (about once a week). I blog about anything to do with gardening, pollinators, flower arranging, and landscape design. I make no money from my blog, but love to share my many years of gardening experiences with people. There isn’t a plant that I haven’t killed at least once! Want to get to know me better? Read About Me and comment or email me. I love to hear from my readers! Want how-to tips? I am all about doing things yourself your way, but it really helps to see how other people create. Read my DIY Soap, which uses beeswax from my hives or Making Your Own Honey Scented Body Butter . For gardening tips and growing your own veggies, try Creating a Potato Tower, Tomato Growers Best Friend, or Heirloom Tomatoes. When you travel, do you love to visit gardens? You betcha! Check my posts on Flora Grubb Heaven, Sweet Gardening, Magical Mystery Tour- Ladew Gardens, or Annie’s Annuals. They might inspire you to travel there. Would you like to see how good garden design is dreamed up and executed? Then browse Transformation of a Small Property, or Healing Labyrinth or Hillside Makeover. 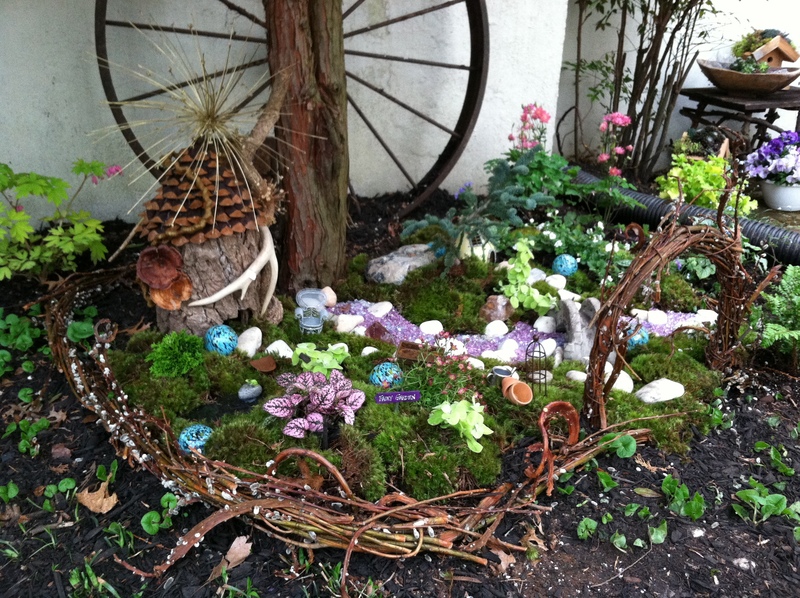 For your fix on Fairy Gardening, try The Realm of Fairy – Creating Fairy Gardens, Broken Pot Garden – Home for a Gnome, or Bibbidi, Bobbidi ,Boo – Create a Fairy Wonderland. Whew! That’s enough to get you going. 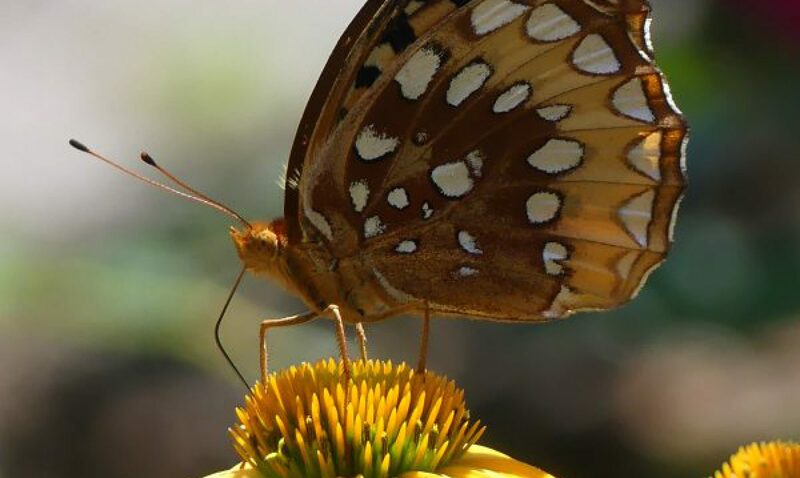 I hope you enjoy your visit to The Garden Diaries and share with your friends! Please add me to the list of subscribers ! Sure, I will send you an email invite. You just have to respond. I have heard you speak a couple times and enjoyed your presentations. I would like to get your blog on a regular basis. Thanks so much Ann! You can click on my blog to follow or send me your email and I will send you a personal invite. If you are on facebook, friend me also! So helpful and informative. Thank you for sharing with all of us. Please add me to your mailings suscription, blogs etc. Vicki L.
Sure, I will sign you up. Love the container pics…great ideas. I would like to fooew your blog also. Just received my seed order and went to a seed swap in Chestertown MD. What fun! Did I need more seeds? Probably not, but as you surely know, it is a wonderful addiction! Wondering if you just use coir alone without any other additions for growing from seed. Thanks, Claire for all that you do to bring us joy with your blog! For seed starting, I just use straight coir. Once the seedlings come up and produce true leaves, then I start to fertilize with a dilute solution. Yes, aren’t those swaps fun? I tried to leave a comment after a post, but I don’t know how. I don’t have an account at wordpress (and don’t really want one) so I can’t leave a comment. Is there another way to leave one? Thanks so much. Well, you just left a comment, so whatever you did worked!You don’t have to have a wordpress account to read my blog, but if you want to receive an email notifying you about a new post, just fill in your email on the right side of my blog where it says to sign up. That way, you won’t miss any. thanks for reading and commenting.